Along an entire hillside, variations of a stone wall or stone snake stretch in several directions. The stacked stones are granite weighing 175 pounds per cubic feet. Many of the larger stones may weigh as much as 300 pounds. Who placed them in this configuration and why remains unknown. 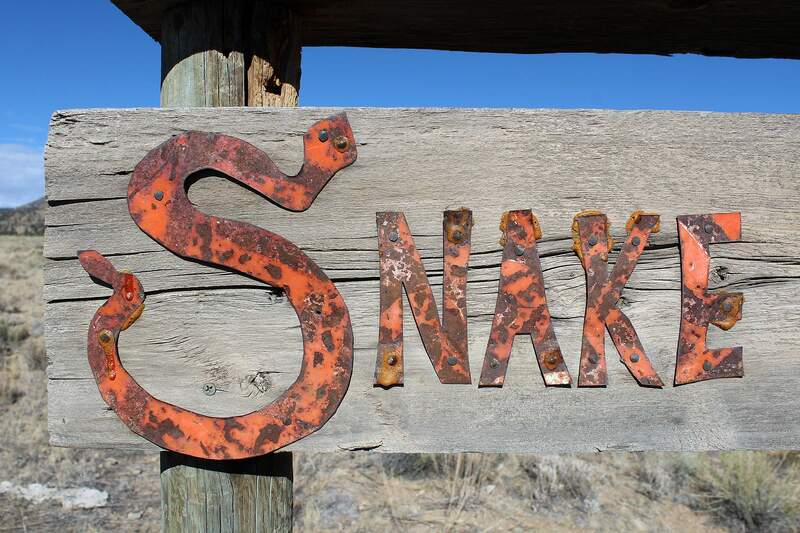 At the entrance to the private property known as the Snake Nest in Saguache County, Colorado, a handmade sign reads Snake Nest Private Protected Preserve. The owner is interested in conserving wildlife as well as archaeology. The stacked rock snake flows in several directions across a south-facing hillside in the San Luis Valley and does not enclose any kind of meadow or paddock. Stones placed behind the snake’s head form a circle or enclosure, possibly an offering area or altar, before the body of the snake begins to stretch out over a remarkable 327 yards. From the northern edge of the San Luis Valley on the hill where the snake nest resides, the Sangre de Christo, or Blood of Christ, Mountains stretch far to the south. At the very end of the snake’s tail, a dead tree trunk had wire around it placed for a coyote snare. Some scholars think the snake’s tail or rattle lines up with sunrise over the Sangre de Christo Mountains during the winter solstice on Dec. 21. Retired U.S. Forest Service archaeological technician Ken Frye of Del Norte walks near a stone snake’s tail. 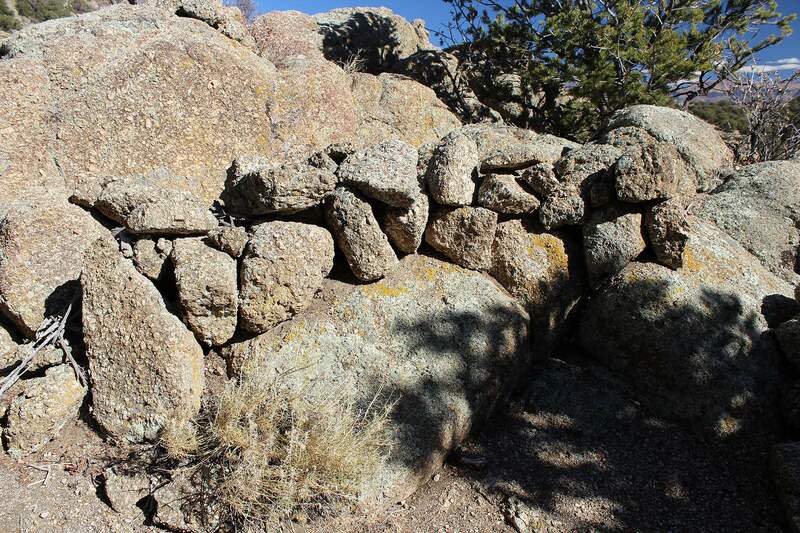 Stacked stone and linear archaeological features abound in the San Luis Valley. 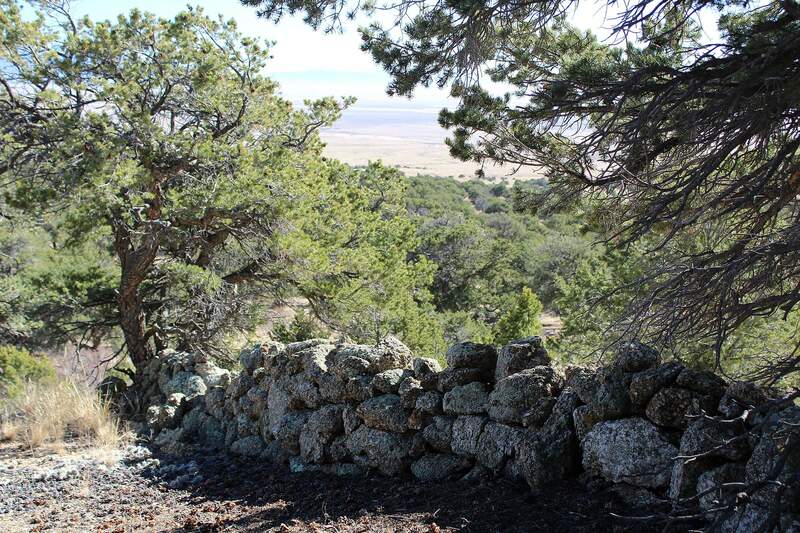 There are secrets in the San Luis Valley at the northern edge of the Sangre de Christo Mountains. One of the most interesting is the riddle of large stone snakes, who built them, when and why. I couldn’t believe it myself until I walked the ground and visited the snake nest. 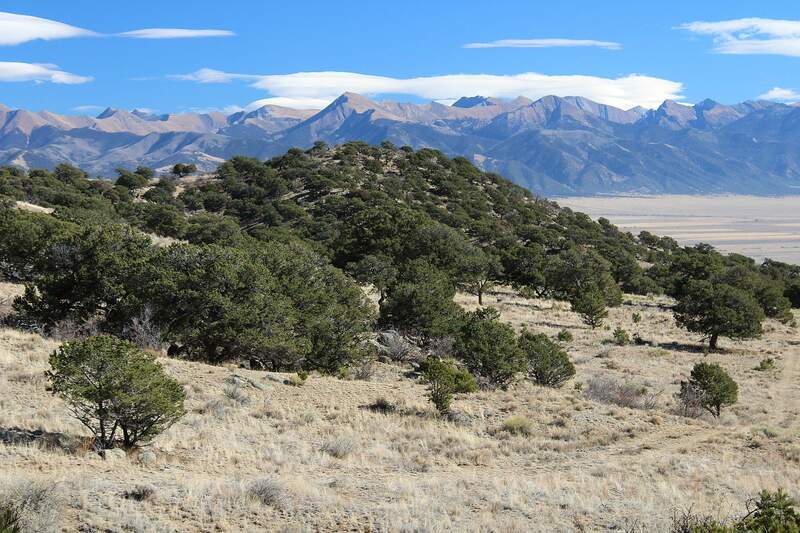 In Saguache County, thousands of years of human habitation have left their mark on the diverse wetlands, sage flats, piñon-juniper uplands, ranches and farms that make up the northern edge of this closed basin. To the south lies Great Sand Dunes National Park and Preserve and to the west the San Juan Mountains. “The valley is a veritable crossroads of human history, a cultural corridor spanning eons of time, from Paleolithic hunters to pre-Columbian Native American cultures, from Spanish conquistadors to fur trappers, from transcontinental explorers to modern tourists in motor homes,” writes Michael M. Geary in Sea of Sand. 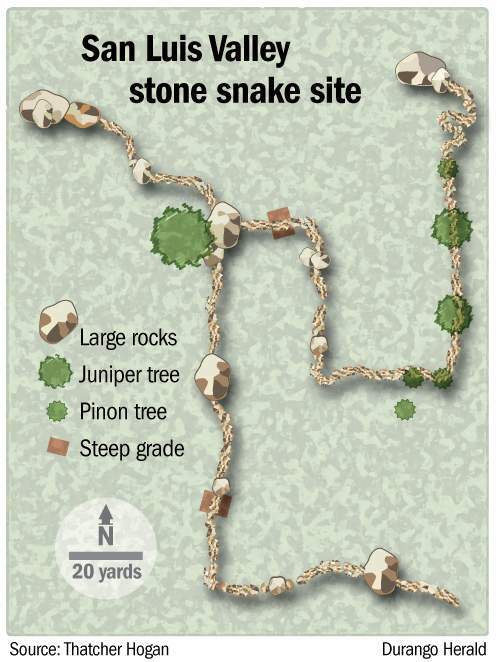 HHHSo, who built the stone snakes, which are 347 yards long on private property? 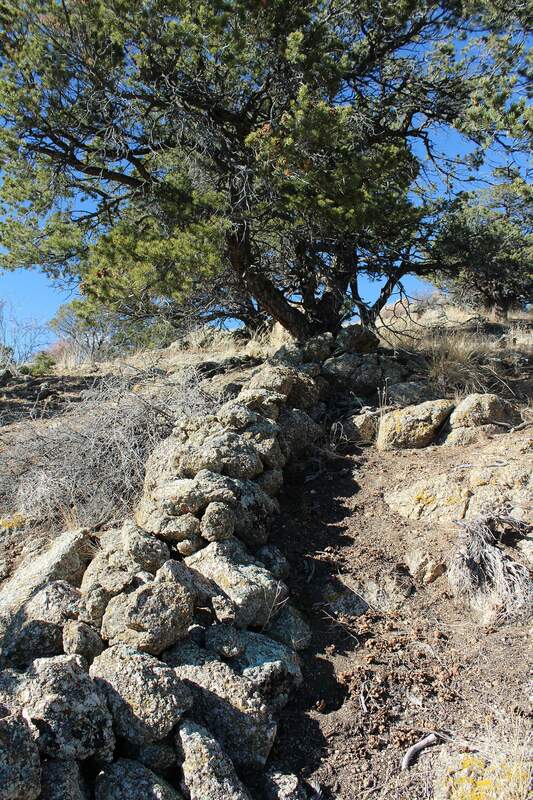 Are they three sacred snakes chasing one another’s tails or does this long linear feature represent south-facing stone walls built by Hispano sheepherders? If so, the walls do not connect. They enclose nothing. 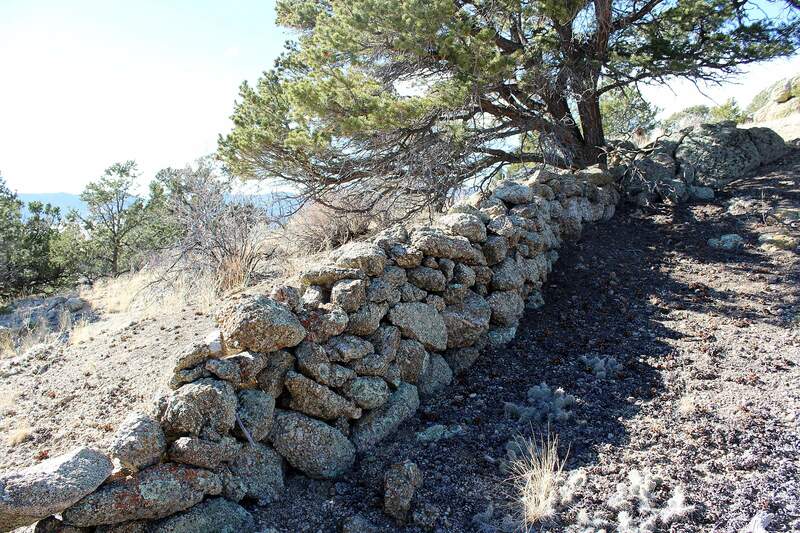 As I walked the hillside with property owner Barbara Kardos, rancher Mike Spearman, avocational archaeologist Becky Donlan and retired Forest Service archaeologist Ken Frye, I found low stone walls that decorated the landscape. 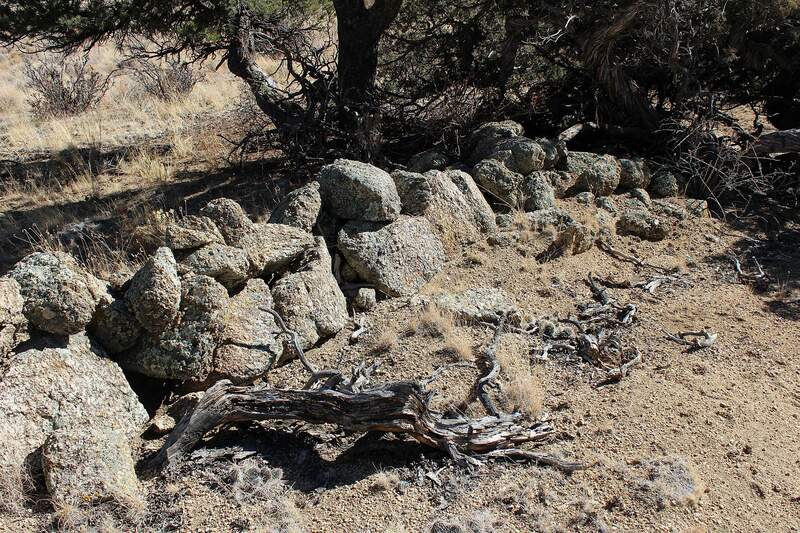 In other parts of Colorado, specifically in Rocky Mountain National Park, dry-laid stone walls connecting with natural drainages have been identified as ancient game drives to funnel bighorn sheep or other game into a kill zone for spear-throwing hunters. Here, that didn’t make sense. Game could simply have gone in another direction. Yet, in front of me stretched yard after yard of hard, round granite rock clearly stacked for some purpose. On the top of the hillside, we came upon tilted boulders the size of a small pickup bed. “It’s not an egg the snake is holding in its mouth. That’s the sun. When the snake releases the sun, a new world is born,” says Donlan, who has broadly studied Native American culture and philosophy. Behind the snake’s head is a stone circle of small boulders, and heading downslope, the snake’s body begins to grow. 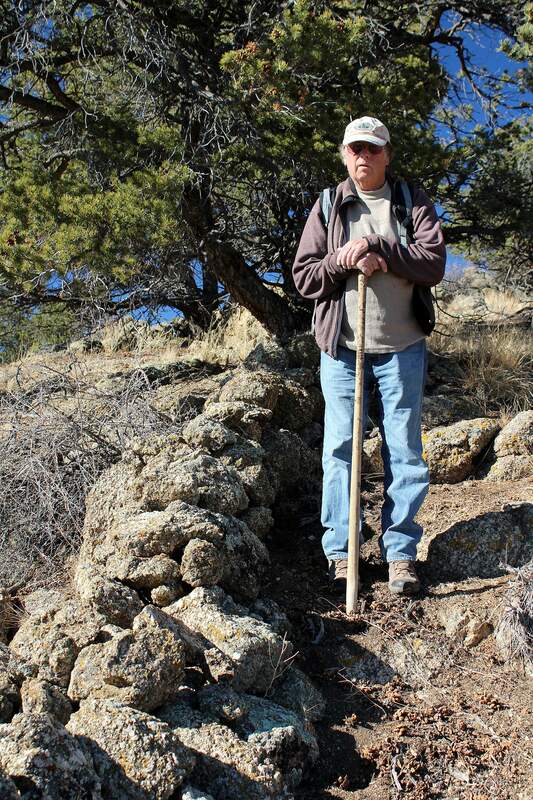 Archaeologist Frye added, “Every time you get into these things, there’s a controversy.” Donlan and Frye have organized Native American Research and Preservation Inc. and seek to locate, research, document and protect stone structures throughout the San Luis Valley. 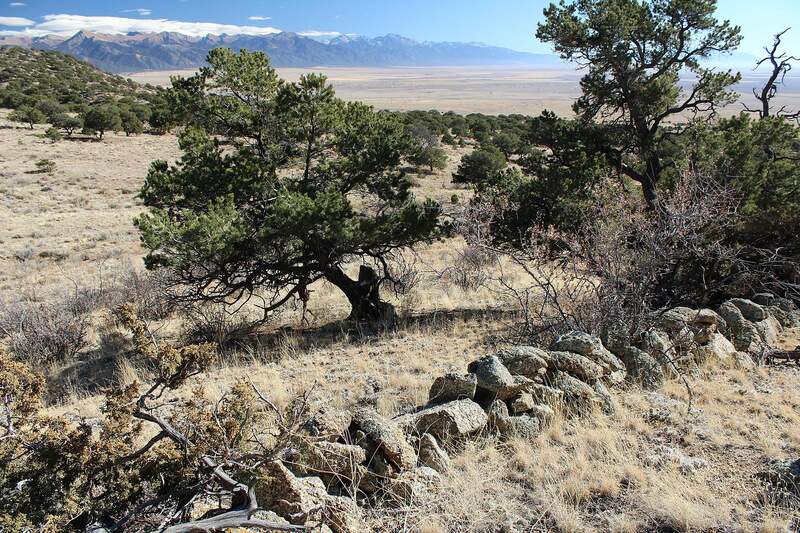 HHHCeremonial stone snakes spread across the San Luis Valley from La Garita north to Saguache. It’s true that Tewa Pueblo Indians believe their place of origin is Sip’ophe, translated as Sandy Place Lake or Lake of the Dead, which could exist near the Great Sand Dunes. Would the Pueblos have come north across the valley to collect and move these stones which weigh from 40 to 140 pounds? Some of the granite rocks are 2 cubic feet and weigh 350 pounds each. “We’ve heard many theories from many people – archaeologists, Native Americans, archaeoastronomers and people who are interested and drawn to this intriguing area. Personally, I feel the site is very, very old – perhaps thousands of years old,” Donlan says. One way to understand the wall is by the technique of optically stimulated luminescence, which gauges how long ago soils were last exposed to sunlight. A scientific study using optically stimulated luminescence and four samples dated quartz grains under the stone wall from 1860 to 1890 or possibly 1814 to 1919, prime decades for the valley’s extensive sheepherding. Published in Quaternary International, a journal article sponsored by the U.S. Geological Survey and the Crustal Geophysics and Geochemistry Science Center said, “Further study is warranted at the Snake Nest Wall since it shows signs of greater antiquity and a continued presence of human use.” Yes, some scholars reject the dates, believing the samples could have been disturbed by wind or soil erosion. HHHHow long did it take to build the Saguache stone snakes? That’s difficult to say, but let’s start with the stone itself. Granite weighs 175 pounds per cubic foot. With an estimated 1,962 feet in length for the snakes, that’s 172 tons or 343,350 pounds of rock to be gathered across a mountain drainage and then set into place – hardly the work of a few idle shepherds on a summer’s day. “The location overlooks the entire valley while also being fairly secluded and secure, while the ‘snakes’ totally dominate their own separate hill. When erosion was working on the surrounding area, the rock underneath the snakes’ hill was tough enough to resist some of it, and some very large boulders were even left on top of it (unless they were moved there as well!). The snake-makers recognized all of that and took full advantage of the site,” says mapmaker Thatcher Hogan. As for who did it, Hogan says, “It either happened by a few people over lots of time, or by lots of people in a shorter time, but, in either case, by people who had the time, energy and focus to make snakes rather than building anything else with all that stone.” He is particularly fascinated by the decreasing size of stones near the snake’s tail – its rattle, which may align with winter solstice sunrise. HHHI came down off the hill shaking my head. As I drove away with my old Labrador tired from walking and content to snooze in the passenger seat, I wondered about moving granite rocks and the riddle of who built the Saguache stone snakes and why. This may be the empirical, pragmatic, 21st century, but perhaps some secrets are meant to remain a mystery.